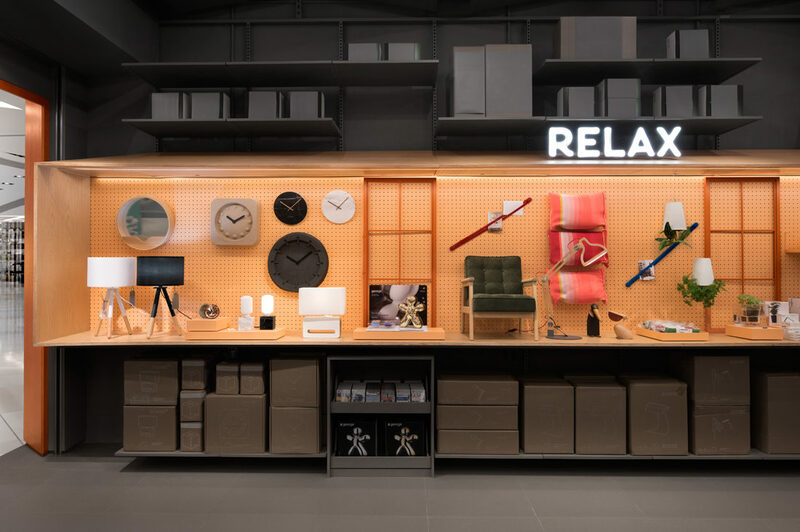 CARFT is an innovative retailer specialising in beautiful and useful things for the home. 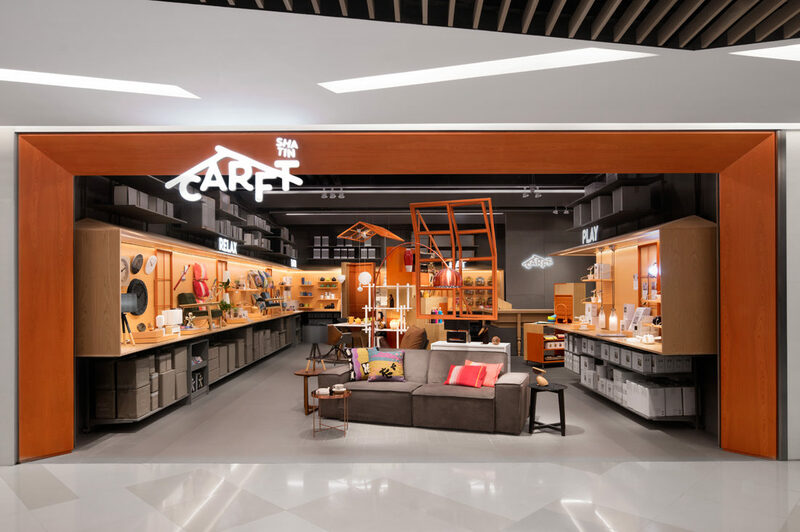 CARFT SHATIN is the first concept store located in the largest one-stop home furnishing shopping mall in Hong Kong, HomeSquare. Three Dogs designed a conscious break from the homeware retailing mold. 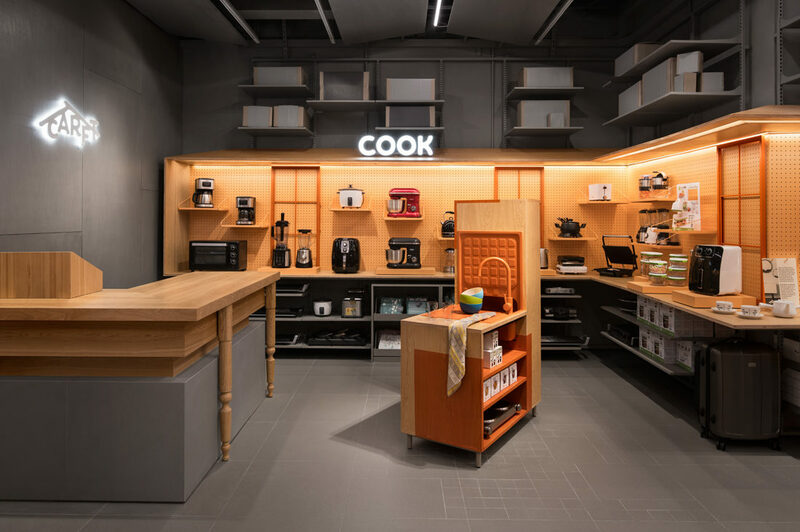 The store design creates a seductive continuous perimeter the presentation that maximises display and stock storage. Presenting the products at table height invites browsing and handling by customers. 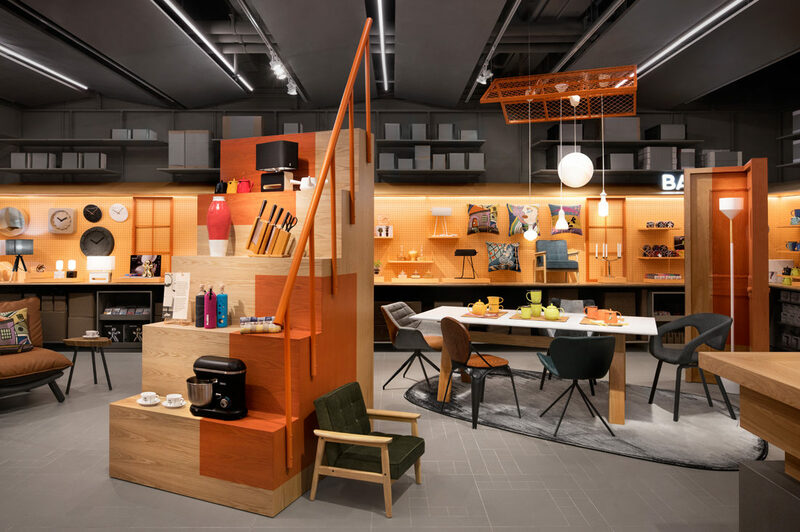 The striking orange color theme is part of the visual identity, in-store communications, and signage programme.